This is the guide that jump-started TheScrabbleGal’s now famous line of instructional PDF tutorials and E-books! If you’re new to Scrabble tile crafting and want to know how to make a Scrabble tile pendant, then this guide is the perfect place to start! In this tutorial, you’ll learn everything you need to know to transform a simple old Scrabble tile and some decorative paper into a beautiful Scrabble tile pendant! "You rock girl! This is a fabulous deal! 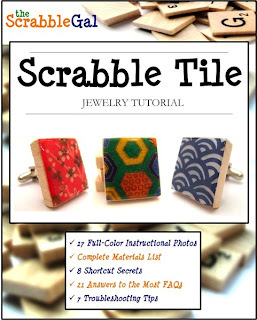 I was already making Scrabble tile jewelry, but it looks like this has SO much useful info. Great job! You can tell a lot of work went into this E-Book." 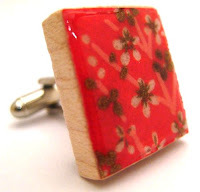 You will receive my Original Scrabble Tile Jewelry Tutorial instantly. Simply click on the "Get Started Now!" button below.